In August, after Tesla got production underway for the Model 3 and made first deliveries of the new mass-market electric sedan to employees, CEO Elon Musk said there should “absolutely” be “zero concern” about the automaker’s ability to increase production to 10,000 cars per week at some point in 2018. This week, that confidence vanished. During a conference call on Wednesday, Musk was asked if Tesla still expects to hit that target of 10,000 Model 3s per week in 2018. The question was met by a wall of silence for more than 10 seconds. Having acknowledged a production bottleneck of the Model 3 last month, Musk is now warning of a months-long delay, pushing a goal of making 5,000 Model 3s per week back to late in the first quarter of 2018. When that happens, Tesla said, it’ll implement a “capacity addition” to increase the run rate to 10,000 per week. How long that add-on will take isn’t clear, turning the previously-“zero-concern” target into something utterly more than zero. It was a sobering moment for a company built on promises of disrupting both the automotive and energy industries, and for a figure who isn’t shy about peddling dreams of underground tunnels, space travel and future electric Tesla vehicles. Particularly, Tesla attributed the slow production to difficulties with producing battery packs at the so-called Gigafactory. Tesla says it’s “difficult to predict” just how long it will take for bottlenecks to clear or when new ones will appear. “We are confident that throughput will increase substantially in upcoming weeks and ultimately be capable of production rates significantly greater than the original specification,” company officials said Wednesday. Call it a glimmer of hope, but the goal of reaching those higher production totals for the Model 3 now rests on escaping what Musk calls “production hell.” He isn’t being hyperbolic. The first sign came early last month, when the Wall Street Journal reported that significant parts of the car were being made by hand. 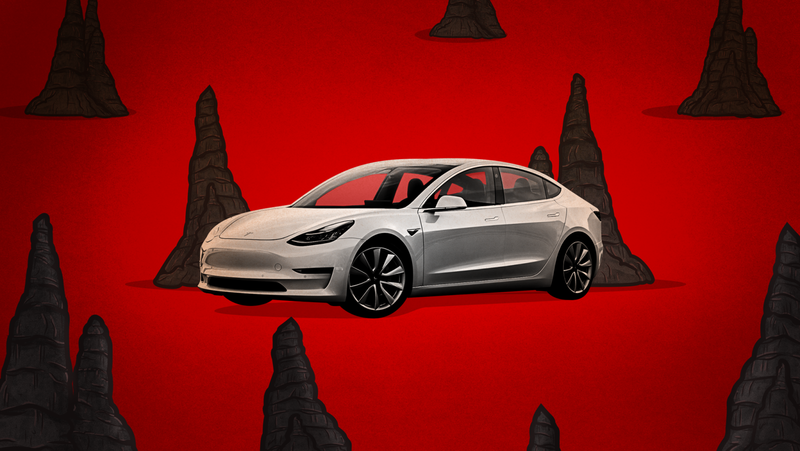 Tesla vehemently disputed the report, but two people familiar with the matter told Jalopnik that was indeed the case. Tesla remains adamant some manufacturing processes are handled manually, but it’s continually working to decrease them on the Model 3 line. 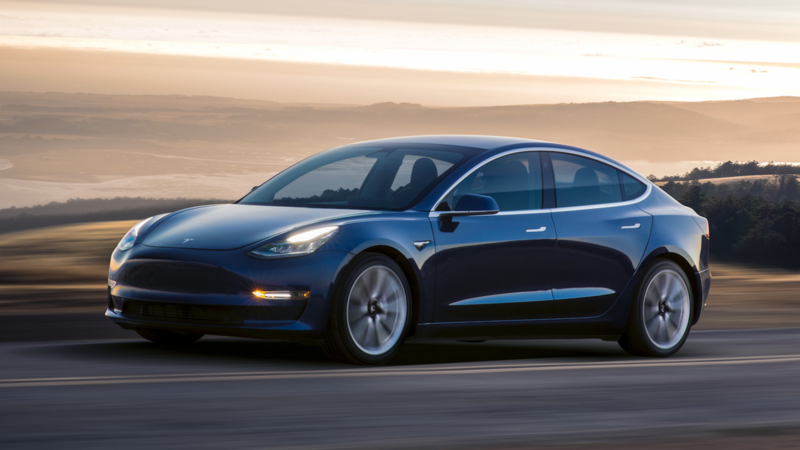 Beyond the production issues noted Wednesday, other notable problems have emerged, according to people familiar with the matter: employees with early Model 3s have been stranded due to their car breaking down, as of mid-October, at least one supplier company had yet to receive production approval for their tooling—necessary to hit the aggressive production numbers Musk wants to achieve—and the Model 3 assembly line still wasn’t in operation as of last month. Just last week, a supplier reported that Tesla dialed back an order for Model 3 parts by 40 percent. In some ways it feels like a hell of Tesla’s own making, owing to aggressive targets and promises it’s having trouble keeping up with. 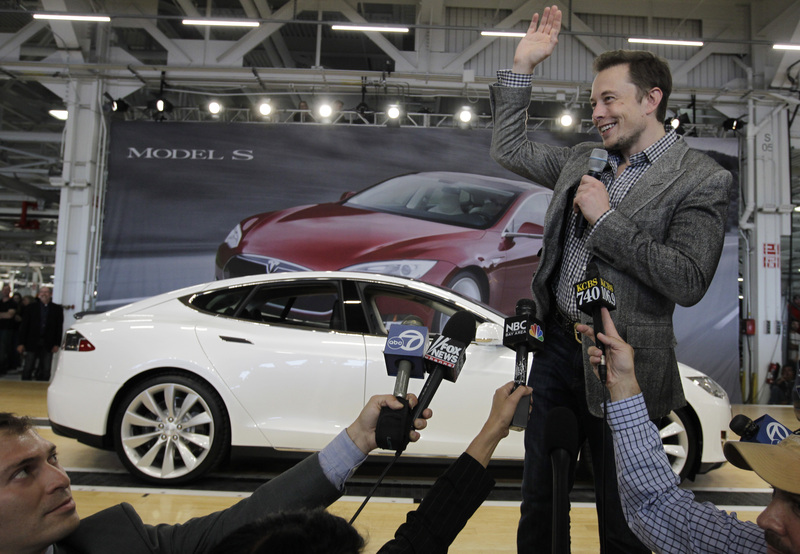 Tesla wants to build 500,000 cars next year, and aims to push out 1 million annually by 2020. And if Musk wants the Model 3 to succeed, he needs to attract everyday car buyers, not just Tesla fanatics who’ll forgive the company for quality issues or delays, said Rebecca Lindland, executive analyst with Cox Automotive. Further delays could only be expected to benefit Tesla rivals, who are rolling out all-electric cars themselves that carry similar specs to the Model 3. “Tesla’s undergoing intense scrutiny on manufacturing because of the really oftentimes very, very aggressive—nearing toward unrealistic—production schedules that Elon Musk talks about,” Lindland said. That’s why what’s emerging with the Model 3 production issues feels like more than a minor hiccup along Tesla’s path to ramp up production of the all-electric sedan, the 14-year-old company’s first attempt at producing a mass-market, mass-production vehicle. The Model 3 is meant to sell in big numbers and compete with power players like the BMW 3 Series. Tesla’s long-term viability hinges on the success of the Model 3. The production issues need to be figured out—and fast. Musk hasn’t been shy to admit the situation is pressing, saying non-employee customers in line for a Model 3 should “assume the worst” for when their car will be delivered. Reservation holders received emails late Wednesday, notifying them of delays on when their Model 3 will be delivered. Separately, as Tesla has been scrambling to address the Model 3’s bottleneck, the automaker’s also facing a backlash over a wave of firings at the company amid growing allegations of less-than-ideal working conditions at its Fremont car plant. 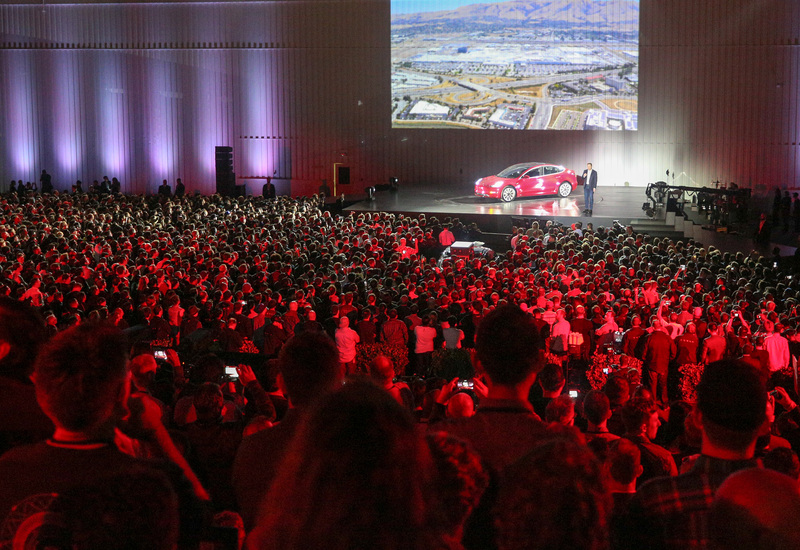 About 700 employees have been let go in recent weeks, roughly 2 percent of Tesla’s workforce. That Tesla fired hundreds of employees as it struggles to build its most important product ever hasn’t gone unnoticed. While Musk on Wednesday said there was nothing unusual about firing this many individuals due to standard, annual performance reviews, employees and the United Auto Workers allege some were either intimidated or simply laid off for supporting an effort to unionize the California plant. Tesla’s also facing several lawsuits filed in recent weeks. One case alleges the company failed to give proper notice about the job dismissals under state law, while other workers claim the company did little to nothing to prevent racial discrimination and anti-LGBT threats they faced. Additionally, previously unreported complaints to California’s labor agency allege Tesla routinely fails to provide employees with proper breaks for meals and rest during the workday. Tesla didn’t make someone available for an interview over the issues, and, in response to a list of detailed questions sent this week by Jalopnik, deferred to prior statements made by the company and comments Wednesday from the conference call. Though investors have bought into Musk’s noble vision of unleashing electric cars across the world, failure to bring the Model 3 to the masses—as Musk hopes to achieve—could crater the company’s financial standing. Its stock price has rocketed upward more than 50 percent this year, thanks to anticipation of the Model 3, but Tesla has continued to burn through more than $1 billion per quarter as of late, and in June reported about $7 billion in long-term debt and $20 billion of liabilities in total. Taken together, Tesla has arrived at the make-or-break moment Model 3 was always chalked up to be. Find a way to deliver, and the company’s missteps will likely be easier to stomach. But if the delay announced Wednesday is a sign of things to come, Tesla’s moment of reckoningcould arrive sooner than anyone expected. “I think he pushes the industry… I just wish some of his projections would be a little bit more realistic,” Lindland said. There’s no officially agreed upon blueprint on How To Build A Car, but everything about the Model 3’s production process—down to how Tesla defines “full production”—comes across as unusual by what’s typical when building cars, according to industry sources. When Musk set a production target date of July 2017 for the Model 3, insiders already knew that Tesla was barreling ahead with an overly aggressive schedule. That became more obvious in March, when the company reported that it had yet to build a “beta” prototype of the Model 3, something typically done far sooner in the production process at other automakers, industry sources said at the time. But while Tesla went ahead and ordered permanent parts, risking the possibility of having to address a flaw down the line, suppliers themselves might not have production-intent equipment. At least one lighting component supplier for the Model 3 didn’t receive production approval for their tooling until early last month, according to a person familiar with the matter. “Their ‘bottleneck’ may just be that they can’t get components fast enough, from their suppliers, because production tooling” isn’t finished for them, the source said. Craig Hoff, dean of Kettering University’s College of Engineering, said it’d be impossible to produce the Model 3 at the rate Tesla wants to hit without production-intent tools in place. Kettering University is a well-known source for automakers to find engineering talent. Typically, automakers start up a pilot production phase of the manufacturing line with production-intent tooling complete. That’s done to figure out “if your tooling is doing what it needs to do, or if you need to make modifications,” Hoff said. As the kinks are worked out, then you can increase the speed of production. “If you’re trying to get up to producing 200,000 [cars], the only way you’re going to get up there is getting experience with your production equipment,” Hoff said. 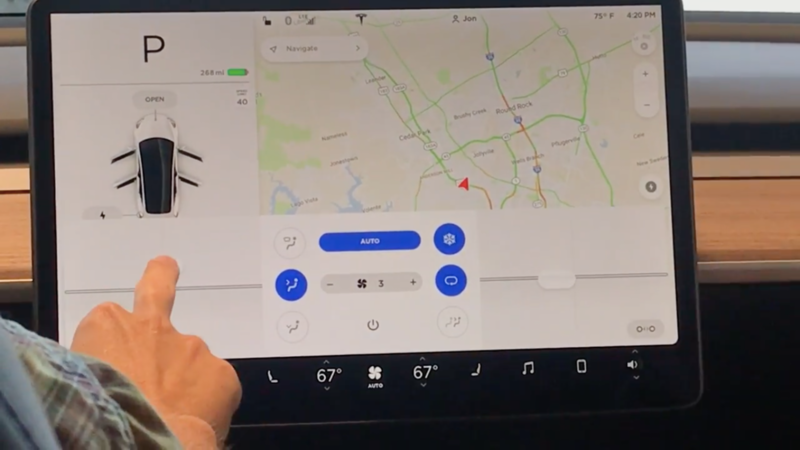 Dan Edmunds, director of vehicle testing at automotive website Edmunds.com, said Tesla appears to still be in what’s commonly viewed in the industry as the “pilot production” phase. “[That’s] where you, generally, have most of the production tooling there, and the cars go down the line, and they go really slowly, and there’s usually a crowd of 20 engineers following the car down every step,” Edmunds said. Tesla explicitly said the cars revealed in July were fully certified, “full-production” vehicles that rolled off an automated assembly line. But based on the low volume counts alone, Edmunds said, “It just doesn’t feel like real production yet.” The kind where production pace is reaching one car per minute, seen as an industry average. It’s not a stretch of the imagination to consider the possible outcome of, say, a flaw being discovered in the production process—something that might’ve been addressed earlier on, if Tesla hadn’t jumped straight into production mode, sources said. Further delays could goad Model 3 reservation holders at the end of the line into pulling back their $1,000 refundable deposit and turning their attention to another new car that hits the market. While it’s possible the issue over production-intent tooling is limited to only one supplier, even then it’s “highly unusual” for how far along Tesla says it is in the Model 3’s manufacturing process, Hoff said. Tesla shared a host of issues Wednesday that, it says, have plagued the Model 3 launch—from suppliers dropping the ball to difficulties with ramping up the speed of the automated processes. But numerous reports have trickled out about the Model 3 production line being incomplete. The line may physically appear to be done, but an ex-employee and a person familiar with the matter said it’s clearly not operating as planned. One person said it was plainly obvious if you see the Model 3 area of the Fremont plant. “The line is there… but as far as being able to push a car through there, automated, hell no,” the ex-employee, who left in recent weeks, said. “Nothing has come off there because in order for you to do that, you go from the body shop to the paint shop to the trim to the general assembly shop. That’s the whole process of any auto manufacturer.” The link between the Model 3 body and paint shops wasn’t complete as of early October, the ex-employee said. Two people familiar with the matter confirmed the WSJ’s reporting that Tesla workers built the Model 3 in a special area of Fremont for several weeks after launching production. The area, according to the WSJ, was dubbed Area 51. “There were guys literally carving parts with dremels,” one person said. Aside from “production hell,” there’s the hell workers allege they’ve faced inside the Fremont factory. Back in February, an employee named Jose Moran wrote a blog post that laid out a litany of complaints over pay and workplace conditions. Ever since, the United Auto Workers has been out front waging a very vocal and active campaign to organize the Fremont plant. Over the last several months, the UAW has helped coordinate media interviews with employees supporting the effort, it reportedly has an office situated about a mile from Tesla’s factory, and has filed complaints on behalf of Tesla workers to the National Labor Relations Board. At the same time, several workers have levied allegations in numerous lawsuits against the company. Three new cases were filed just last month, with one complaint alleging Tesla fired several hundred workers without giving proper notice under state law. Tesla has said the firings were due to performance reviews. The automaker has been adamant these were firings, not layoffs. The performance reviews linked to the recent round of firings included only four broad questions, answered by the worker’s direct manager, according to one person familiar with the matter. The person was scored on a scale of 1-5; anyone with a 1-2 was a likelier target to be fired. But in some instances, the person said, it appeared that Tesla’s HR department corrected scores submitted by an employee’s direct manager on the backend—for instance, the total aggregate score for an employee would be lowered by 1 point—to reach a target for employee layoffs in each sector of the company. Tesla didn’t respond to questions about the claim, and referred to a previous statement, in which the company said it was backfilling most of the positions and the attrition rate is similar compared to last year. Tesla also said most of the firings were in administrative and sales positions, not production, and that it’ll have no impact on Model 3 production. “I was fired for trying to better the lives of my co-workers,” said Richard Ortiz, in a statement from UAW organizers. Meanwhile, former employees claim they’ve suffered racial discriminationand faced anti-LGBT threats inside Fremont. In February, for instance, former Tesla engineer AJ Vandermeyden opened up about a lawsuit she filed against the company, claiming Tesla has a culture of “pervasive harassment,” and that she was paid less than men in the same role. Vandermeyden was fired by Tesla in June, something her attorney believed to be retaliatory action. Vandermeyden’s initial lawsuit also included claims that she was denied overtime pay, rest breaks, and meal periods—something numerous employees have also alleged in complaints filed with the California Labor & Workforce Development Agency. The previously unreported complaints were obtained by Jalopnik through a public records request. The contractor provided paychecks that misspelled her name, which had a “practical effect of not paying her at all,” the complaint alleges, adding that she was pressured “into receiving a debit card as opposed to receiving a physical check.” After she raised the issues to her superiors, the company “retaliated” against her, the complaint says, and fired her. Branton Phillips, a 53-year-old current Tesla worker who’s working with the UAW on the unionization effort and has been made available to reporters by the union, doesn’t seem to find that possible. “There’s no SOPs—standard operating practices,” he said. Phillips is used to production hell. When the Model X launch, he said he worked 13 days straight. “A lot of my coworkers did 21 days straight,” he said. Workplace injuries aren’t unavoidable for any automaker, but Phillips says Tesla only has one goal on its mind. Phillips said Tesla workers could use a union to bargain for more safety protections in the workplace. A lot of his younger co-workers “don’t know any better,” he said, and accept less-than-ideal conditions rather than speaking up collectively about issues that arise. But Tesla is adamant that, contrary to what skeptics portray, it has been transparent about everything from the Model 3 production issues to how it’s cognizant of workplace grievances and aims to improve upon conditions. What makes the entire situation curious is just how inconsistent that narrative has been as of late. In Tesla’s eyes, production is fully underway, and it has consistently articulated that the Model 3 line will be fine-tuned along the way. Meanwhile, multiple news outlets have separately quoted numerous sources describing a discombobulated affair. One source “in a position to know” told Wards Auto Tesla needs a second body shop to reach the high volume Musk has sought, and likely won’t hit even 3,000 cars per week until the end of 2018—well short of Tesla’s guidance that it’ll make 400,000 Model 3s that year. Tesla hasn’t said anything to that effect. And industry observers themselves seem confused by Musk’s approach, seemingly conflating what “production” is with an industry standard for early pilot production efforts. While it’s not unusual for automakers to have employees test out early versions of a new car, Tesla has called the early versions of the Model 3 “full production” vehicles. Unlike those other carmakers, employees and insiders paid full price to voluntarily test and disclose any issues that emerge with the early run of the sedan. Some of the vehicles revealed at the launch party indeed had to be returned for fixes due to issues with the battery packs, sources said.